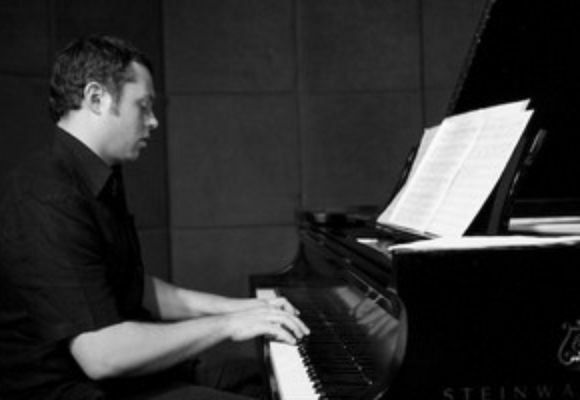 Jamie Reynolds is a Canadian pianist, keyboardist and composer who has lived in New York City since 2005. He was awarded a Canada Council grant to study privately with Fred Hersch, and he received a second grant in 2007 for private study with Craig Taborn. Jamie stays busy playing, writing, and teaching with wonderful collaborators like Matt Stevens, Orlando LeFleming, Eric Doob, Gary Wang, and his wife, the singer Melissa Stylianou. His debut album, an acoustic piano trio recording of original music entitled "Time with People", came out in 2012 on the Fresh Sound New Talent label. His second, "Counterpart", features electric instruments and experimental studio effects, and was longlisted for the Polaris Prize. Jamie lives in Brooklyn with his wife and son.